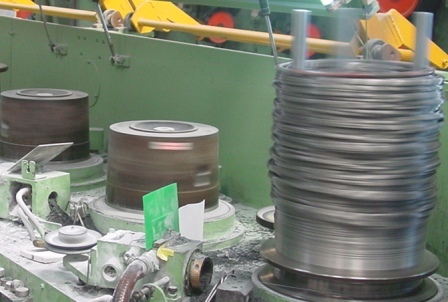 We have a wide range of products to meet various application; especially Thai seisen stainless spring wires are well being accepted , among users due to its excellent corrosion resistance, heat resistance, and coiling. The recent trend of technical innovation moves toward lightness, thiness, shortness, and smallness in precision equipment, office automation equipment and electronic compoments, which is more and more predominant . This requirement is also valid in relation to stainless spring wires whose increased strength and accuracy of material as well as superior workability are being called for. We are thus introducing a range of Thai seisen stainless spring wires to meet most demanding applications. Incl. 0.50 – 2.00 Incl. Incl. 0.50 – 0.60 Incl. Excl. 0.60 – 0.70 Incl. Excl. 0.70 – 1.60 Incl. Excl. 1.60 – 2.00 Incl. Excl. 0.60 – 1.00 Incl. Excl. 1.00 – 1.40 Incl. Excl. 1.40 – 2.00 Incl. Excl. 1.00 – 1.60 Incl.